What does a medical test tell us about the chances of having a particular disease? How can we tell if a spoken phrase is, 'four candles' or 'fork handles'? How do we a perceive a three-dimensional world from from the three-dimensional images on our retinas? The short answer is Bayes' rule, which transforms meaningless statistics and raw data into useful information. Discovered by an 18th century mathematician and preacher, Bayes' rule is a cornerstone of modern probability theory. In this richly illustrated book, intuitive visual representations of real-world examples are used to show how Bayes' rule is actually a form of commonsense reasoning. 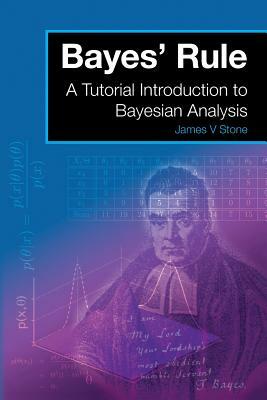 The tutorial style of writing, combined with a comprehensive glossary, makes this an ideal primer for novices who wish to gain an intuitive understanding of Bayesian analysis. As an aid to understanding, online computer code (in MatLab, Python and R) reproduces key numerical results and diagrams. Stone's book is renowned for its visually engaging style of presentation, which stems from teaching Bayes' rule to psychology students for over 10 years as a university lecturer.